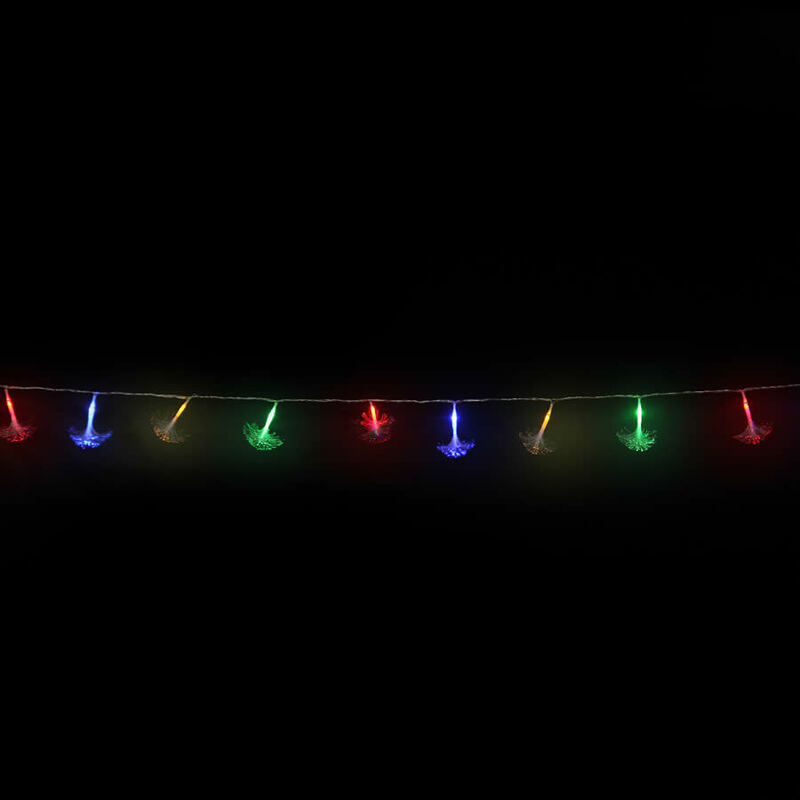 Our Multicoloured Fibre Glass Christmas Lights will amaze you with their intensity and delicacy. But don’t be fooled by their delicate appearance, fibreglass bulbs have a robust durability, making them the perfect choice for Christmas lighting. The bulbs have delicate feathers creating a diffuse gorgeous strand of coloured Christmas light. Give your windows and porches a makeover with these icicles, or wind them around your mailbox or favourite reindeer for a different effect. .